Virtu Financial has announced a new partnership with MarketAxess to provide the two firm’s mutual client base with trading tools and access to global exchange-traded funds (ETFs) and fixed income securities. 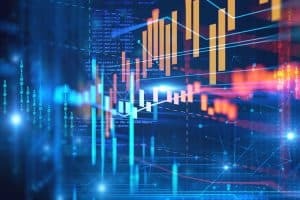 The collaborative effort, which is expected to launch in Q3 this year, will provide global, multi-asset and multi-currency coverage to MarketAxess and Virtu RFQ-hub clients, including the distribution of Virtu’s streaming eNAV ETF fair value offering and disclosed or anonymous ETF trading via RFQ. The service will also launch with real-time trade analytics supported by the MarketAxess Composite+ (CP+) algorithmic pricing tool and Virtu’s suite of TCA tools. At the start of March, Virtu Financial closed its acquisition of trading technology rival ITG in a deal valued at $1 billion. Virtu Financial said at the time that both firms have been working to develop a detailed integration plan since the end of last years to bring Virtu’s technology, risk management and operations to ITG’s agency services.